I made this birthday cake over 4th of July weekend for a little boy’s 4th birthday. He is a big fan of Batman and Lego’s, so his mom wanted to incorporate both into the cake. 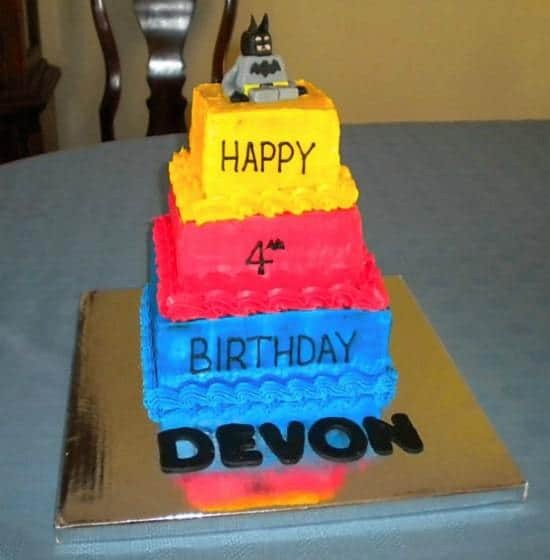 She wanted the tiers to be the basic primary colors – blue, red and yellow – that are characteristic of the basic Lego colors, and then topped with a depiction of Lego Batman. The tiers are covered in buttercream icing, with the Lego Batman and “Devon” created completely of fondant. The bottom cake was chocolate with a ho ho filling, middle cake was devil’s food with raspberry buttercream, and the top layer was chocolate with peanut butter filling. 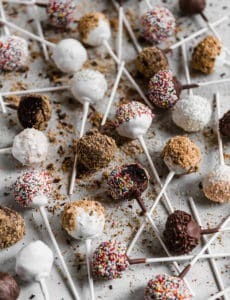 Lots of chocolate goodness! The cake had to be ready to deliver on Sunday morning, so I finished it on Saturday evening. On Sunday morning, we woke up to what my Chief Culinary Consultant coined “The Leaning Tower of Pisa Cake”. The middle layer had shifted forward and right, and the top layer was following suit. After staring at it from every possible angle and trying to figure out what happened and how to possibly go about fixing it, I decided I needed to run off to Michael’s for emergency supplies since I wasn’t at home. We got there as the doors opened, and I did a Supermarket Sweep (does anyone else remember that game show from the 80’s?! I loved it! No wonder I’ve always enjoyed grocery shopping, ha!) run through the baking aisle, then rushed back. We had 1 hour to pretty much disassemble the cake, fix whatever was wrong, then re-ice the layers and get it looking perfect again. No pressure, right? 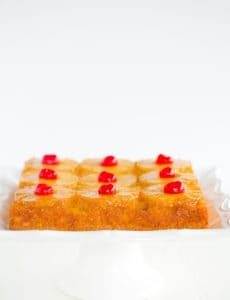 After getting the second layer off of the cake, I discovered that the dowel rods had shifted sideways in the cake, which caused the two upper layers to slide and move. After getting the dowels out, cutting a couple down and repositioning, the reassembly began. The cakes got re-iced, complete with new borders (the cake you see above is the re-assembled one), and ended up looking pretty good, with just enough time to spare. I wish someone would have taken pictures of the taking apart and rebuilding of the cake, it would have been fun to see it documented, although I’m sure there would have been a terrified look on my face the entire time! I can’t even express how big of a help my awesome Chief Culinary Consultant was. He helped mix icing, color it, prep piping bags for me, held the cake on his lap as we navigated the hilly and bumpy delivery route with a not-quite sturdy cake going 20 miles per hour, and provided a huge heaping of moral support. I definitely couldn’t have done it without him! How did you make the Batman,i know you used fondant but exactly how is what i would like to. My son wants Batman for his cake and i just love this one. Hi Virginia, Unfortunately, I made this a number of years ago and didn’t document step-by-step photos. I just used a photo of the Lego Batman and went from there. I’m sorry I’m not more helpful! WOW WHAT AN AMAZING CAKE WHERE DID YOU GET THE CUT LETTERS FROM.OAND BRAND I CAN NEVER FIND THEM I HAVE BEEN LOOKING FOR A WHILE PLEASE HELP ME IF YOU CAN BTW BATMAN IS SUPER CUTE!!! I actually used cookie cutters in the shape of letters and cut them out of black fondant. Great cake!!! 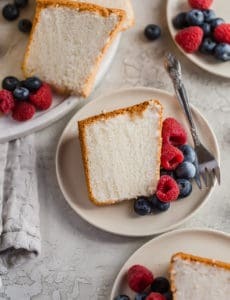 I’m attempting my first two tier cake in a few weeks… I’m beginning my planning now… I was wondered if you had a homemade fondant recipe??? Hi Rasheeda, I do not have a homemade fondant recipe, I just buy it when I need it. Enjoy your cake adventures! What a story, and what a cake! I think it looks great, and you did a great job. And great job on the fixer upper :) These things always bring their own challenges! You did an awesome job and under pressure no less! My 4 year old LOVES Lego Batman (he plays the game for Xbox). I might have to give this a whirl when his birthday rolls around.